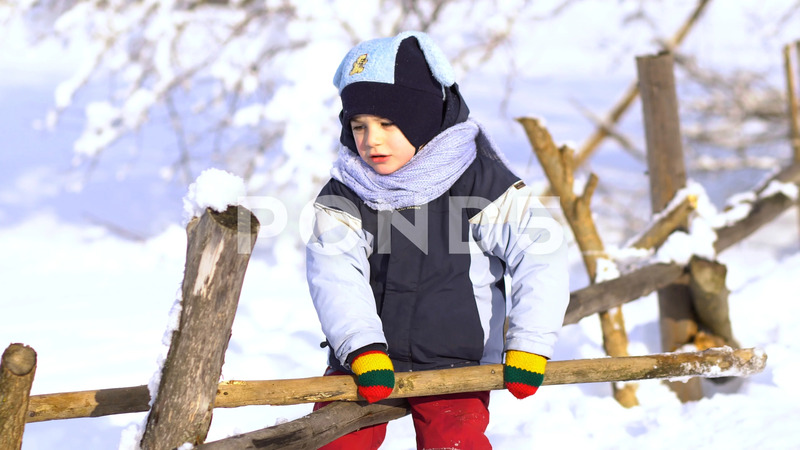 Description: Beautiful little boy in winter park. He sits on a wooden fence and plays with a stick. He is happy.